A Way Out seems like a tough sell. The cooperative narrative game, which requires you to play the whole thing alongside a second person, probably isn’t for everyone. But it sure was for a lot of people—more than EA seems to have expected. This morning, developer Hazelight Studios announced that it had sold a million copies of A Way Out, which is a noteworthy number not just because it’s big, but because it’s more than EA thought it would sell in a lifetime, according to the marketing document that leaked last year. 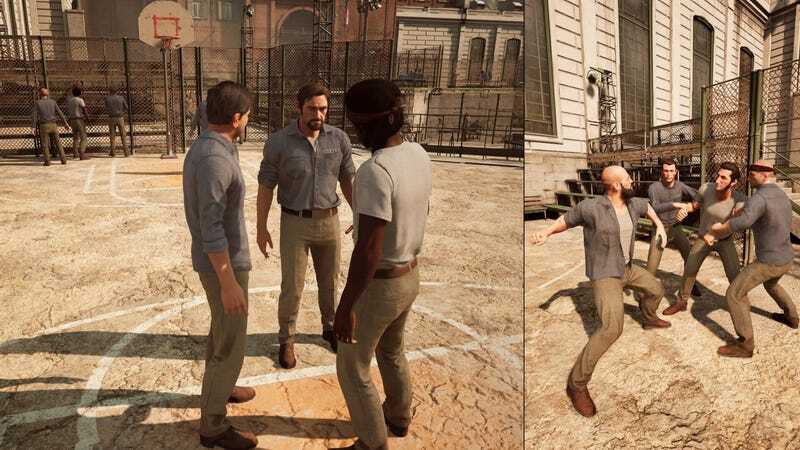 You may recall this as the marketing plan that said the company would “need to watch out for controversy” surrounding A Way Out director Josef Fares. EA’s forecast, at least when it made that plan, was that A Way Out would sell 203,000 copies in the 2018 fiscal year (which ended March 31, eight days after the game came out) and 894,000 copies total. In other words, A Way Out just sold more copies in two weeks than EA had projected it to sell in a lifetime. While it’s possible that EA’s projections changed between the time that this plan leaked and release, this is still fascinating, and shows just how successful the game was. It’s a promising sign for any game developer who’s thinking about an ambitious narrative experiment like this one.